This is one of my very favorite Le Diascorns, it hangs above my desk in my attic room in Jonchères. 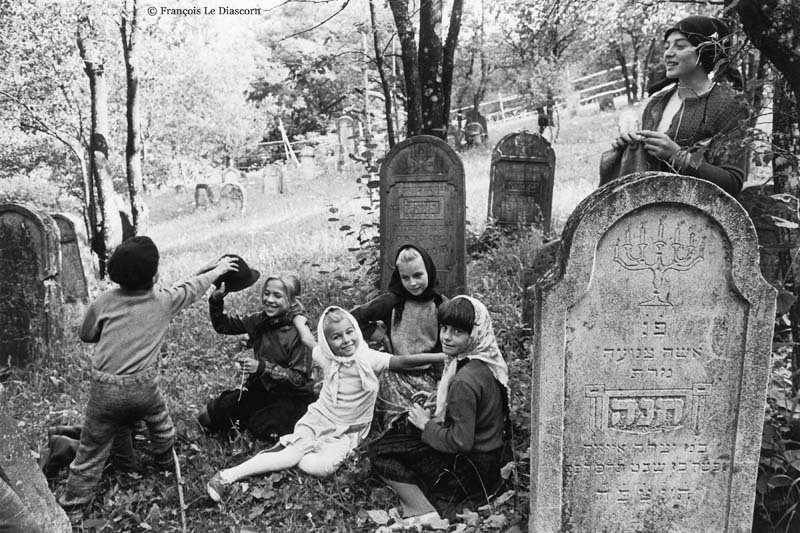 I happened to be right in that leafy cemetery when the photo was taken, with those beautiful children. Yet I did not see the exact magical moment that took place there, until I saw this photograph.